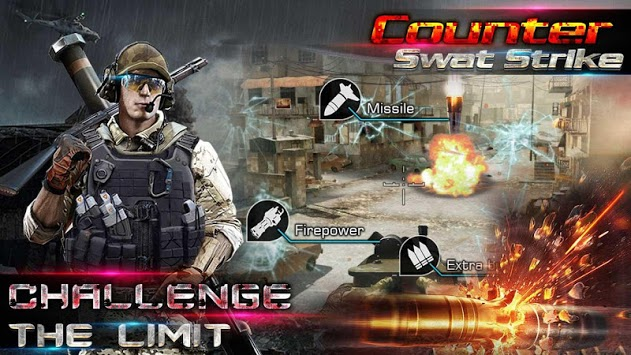 Counter Swat Gun Strike (CS Gun Strike) is a modern gun shoot game.It's have good graphics and simple control to delivers the classic shooting game experience on your Android smartphone and tablet! Play as a swat gun striker in power and war who strike your team fortress brutal armed terrorist commandos. Commando raid enemy will never let you catch your breath, so start shooting until every one of them is down! CS Gun Strike is a complete free game and also a offline game . Of course, you are not alone , you can compete with people all around the world on the leaderboard. # Simply tap left screen to move and tap the fire button to shoot . # Refill ammunition,request air support , Summon Armor when you got enough HEADSHOT,SLAUGHTER,SCAVENGER. # Broken air supply before landed. 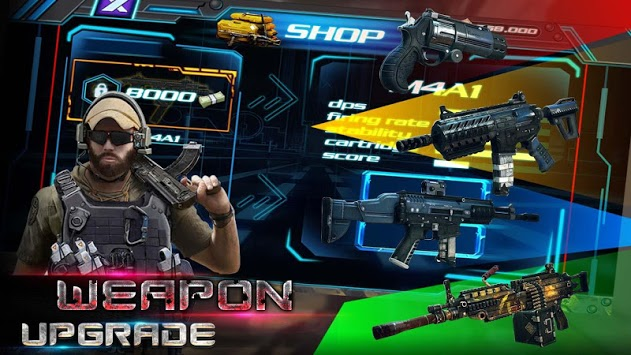 # Kill more enemies to get more cash , so you can buy other more advanced guns . Are you ready to accept accept the challenge ? 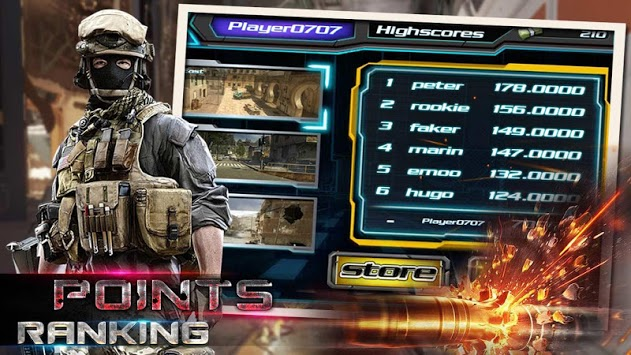 Join the Counter Swat Gun Strike to fight.